McGregor MOT Centre is a well established, family run business and has been since it began trading in 1982. With a well-equipped, modern workshop fitted out with the best of equipment and tools, as well as heavy investment in state-of-the-art diagnostic equipment we are confident we can find and rectify almost any problem or fault with your car. Our car service and technical knowledge includes a thorough understanding of the use and operation of all auto equipment, being capable of road testing any and all types of vehicles, troubleshooting of complex mechanical problems and providing free estimates. There are lots of different garages out there for you to choose from. 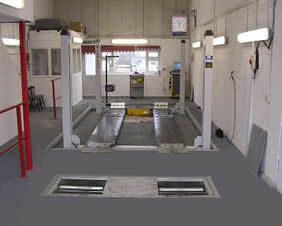 We believe that what makes a McGregor MOT Centre different is our ability to offer you the best of everything.